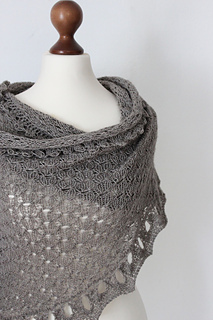 The Indulgent Spirit is a crescent shawl shaped by increases (also known as Austrian crescent). 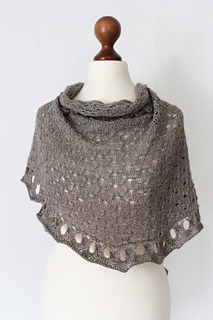 Small borders and edging are attached (knitted on) after finishing the main shawl body. 86 x 20 in (220 x 50 cm) after blocking.